Summer lovin’ and summer savings! This month take advantage of our July Promo for an extra 5% off your bridesmaid dress order! Sale ends July 27, some exclusions apply. WE’D LOVE TO HEAR FROM YOU! 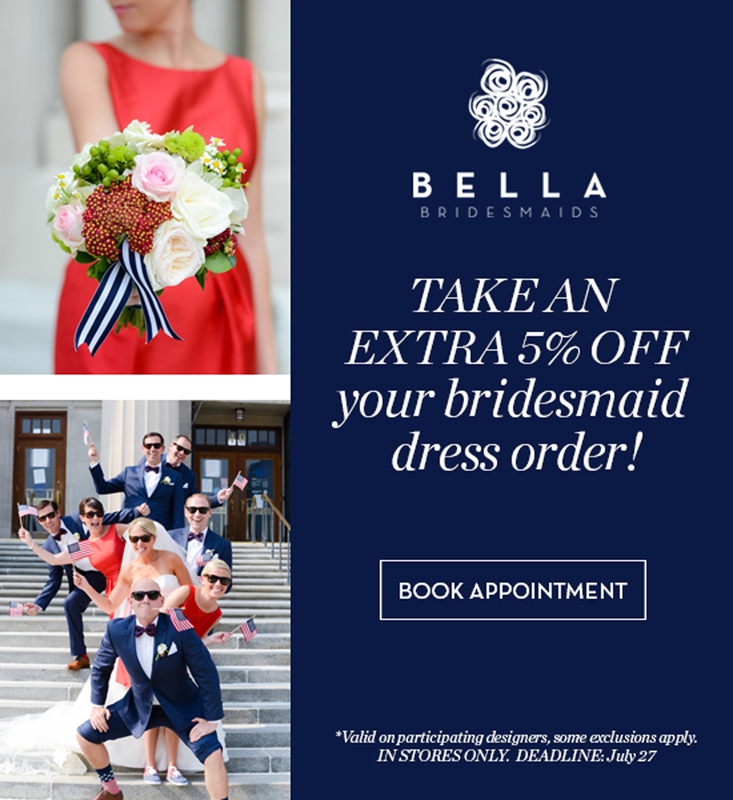 EMAIL US AT BUZZ@bellabridesmaids.com.